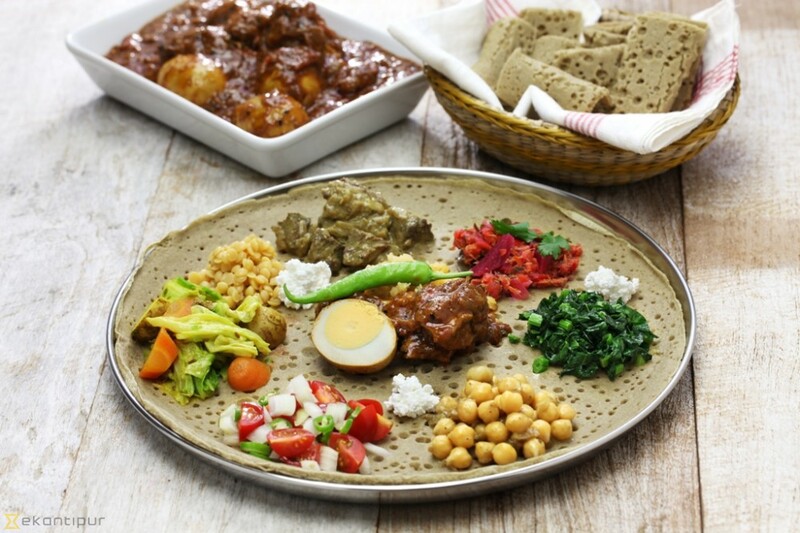 Injera News and Articles – Fresh Injera delivery to your door! For the average Nepali, doro wat, gomen and berbere might sound alien, but one taste of these Ethiopian delicacies and Nepalis might just recognise the flavours. Among a host of other herbs and spices, there is a lot of chilli, ginger, cumin and coriander–all familiar to the Nepali palate. But there is much more to Ethiopian food and now, Kathmandu residents can taste it for themselves. First started in Kathmandu at the Le Sherpa Farmers’ Market in November, Addis, Kathmandu’s first Ethiopian eatery, is a pop-up restaurant that runs in different spots throughout the week and across the city. Found on Saturdays in Lazimpat, at Le Sherpa in the morning and Oshell FoodBar in the evening, Addis will be coming to Top of the World Coffee in Jhamsikhel this Friday. © 2019 Fresh Injera delivery to your door!